Don't like Episode VII's new title? Make one of your own! 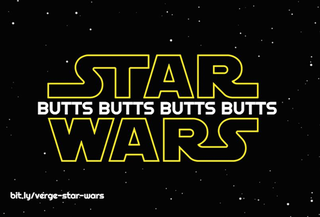 Disney unveiled Episode VII's true name last week, and well... it's certainly a title for a Star Wars movie. Not a fan? Well now there's a neat little tool that lets you drum up a few Star Wars logos of your own. Post your best ones in the comments!